A club with such a proud history and tradition as Sunderland AFC has had many momentus events that can be recalled. Here are perhaps the most significant, some of which, as we shall see, had wider reverberations beyond the shores of the United Kingdom. At the heart of it were our players, administrators and of course our supporters, the life blood of any football club. 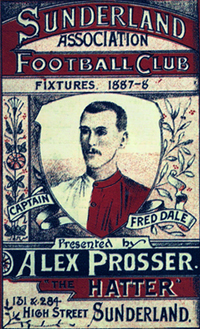 Whether living or now dead they have all added to the rich tapestry that is Sunderland AFC - 129 years and counting.